Monique Heijmans is a Health Psychologist and works as a Senior Researcher at Nivel since 1998. She is project leader of the National Panel of people with Chronic Illness or Disability (2008 – present) and the National Panel of people with Lung Diseases (2001 – present). Monique Heijmans is an expert in the area of (determinants of) self-management and chronic illness and has extensive research experience in the area of psychosocial factors and their interaction with health behavior and health, including illness perceptions, gender differences, patient activation, self-efficacy, social support and health literacy. Since 1998, she is involved in many national and international research projects and systematic reviews on chronic disease, diversity, self-management, and heath literacy. 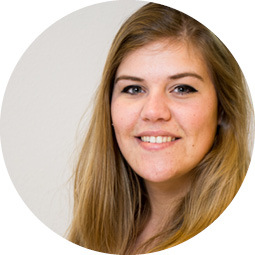 Marieke van der Gaag is Junior Researcher at Nivel (since 2016). She studied Health Sciences at VU University, Amsterdam, with a Master´s degree in Prevention and Public Health. Marieke van der Gaag is especially interested in research about people with low health literacy levels. She is a PhD student since February 2018 and examines the role of health literacy in the effectiveness of self-management interventions. 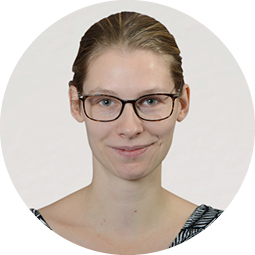 Jany Rademakers is Research Department Head and member of the management team of Nivel. She is also professor in health literacy and patient participation at Maastricht University. Her research focuses on diversity in health care, more specific on health literacy and patient activation, and in general on patient involvement and empowerment in health care. 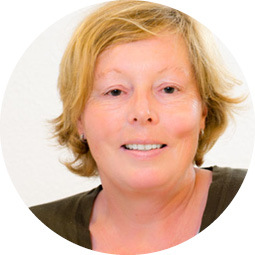 Jany Rademakers is member of the steering committee and chair of the working group on patient experiences of the Dutch Alliance for Health literacy. Her current projects involve the translation and validation of questionnaires to measure health literacy and patient activation. She is also involved in research projects on patients’ needs and experiences with health care and the development and implementation of valid and reliable measurement instruments in this area. Rune Poortvliet is a Junior Researcher and PhD student at Nivel. She studied Liberal Arts and Sciences in Maastricht, and completed a Master’s degree in Methodology and Statistics and a Master’s degree in Social and Health Psychology at Utrecht University. 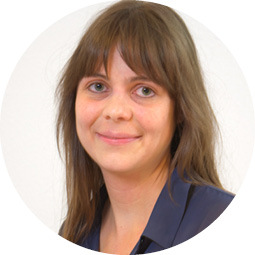 Since the end of 2018 she is part of the COMPAR-EU team, where she researches the project’s outcomes for patients with chronic heart failure. Sandra van Dulmen works at Nivel since 1995, first as a Researcher, then as a Coordinator of the research programme `Communication in Health Care´. 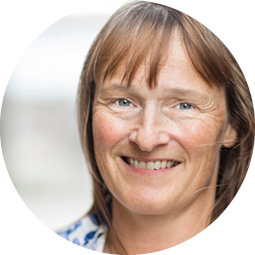 Since 2012, she is also professor in communication in health care at the Department of Primary and Community Care of Radboud University Medical Center, and also at the University College of Southeast Norway. Sandra van Dulmen has obtained many grants for research in the field of communication in, among others, minor ailments, cancer, diabetes, IBS and asthma/COPD. In 2001, she was cofounder and until 2014 secretary of EACH (International Association for Communication in Health Care). She is a board member of the ICPCM (International College for Person Centred Medicine) and editorial board member of PEC (Patient Education&Counselling) and of the IJPCM (International Journal for Person Centred Medicine). 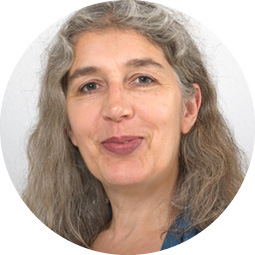 Cordula Wagner is Executive Director of Nivel and also works as a professor in patient safety at VU University Medical Centre in Amsterdam. She is also Head of the Patient Safety Research Centre ‘Safety 4 Patients’, a collaboration of EMGO+/VUmc and Nivel. 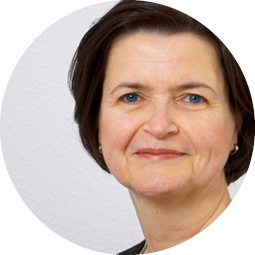 For the last 20 years, Cordula Wagner has been involved in a substantial number of projects focusing on a) the implementation of quality systems among health care institutions and professionals, b) the evaluation of national quality programmes, c) the relation between quality systems, care process and clinical outcomes, and d) risk management and patient safety. The research takes place in various health care fields, e.g. hospitals, nursing homes, primary care and mental health care organisations. Janneke Noordman is Senior Researcher in communication in health care at Nivel (since 2006) and Radboudumc (since April 2017). She studied Interdisciplinary Social Science at Utrecht University and obtained her PhD on ‘Lifestyle counseling by GPs and practice nurses in primary care: an analysis of daily practice’ in 2013 at Radboudumc. She is an expert in observational communication research and video-feedback (‘reflective practice’), and has extensive experience in both quantitative and qualitative studies. Janneke Noordman also developed several online communication-based interventions, in co-creation with end-users. She is associate editor of BMC Medical Education.